Bremerton may need some help to get back on top in the National Mayor’s Water Pledge Challenge, an annual competition that encourages people to take specific steps to save water and help the environment. As usual, Bremerton started out on top in its population category when the contest began on April 1. The city held its own through most of last week. But now the city has slid down to number 4, which means that more water customers are needed to take the pledge. 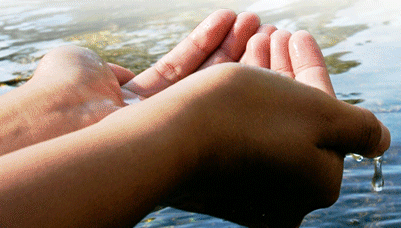 Go to My Water Pledge. Bremerton has always done well in the competition, perhaps largely because of the enthusiasm of Mayor Patty Lent, who likes to see people conserve water and always wishes the city can come out on top in the competition. This year, a good showing in the competition would be especially nice, considering that Bremerton is celebrating the centennial of its unique water system. 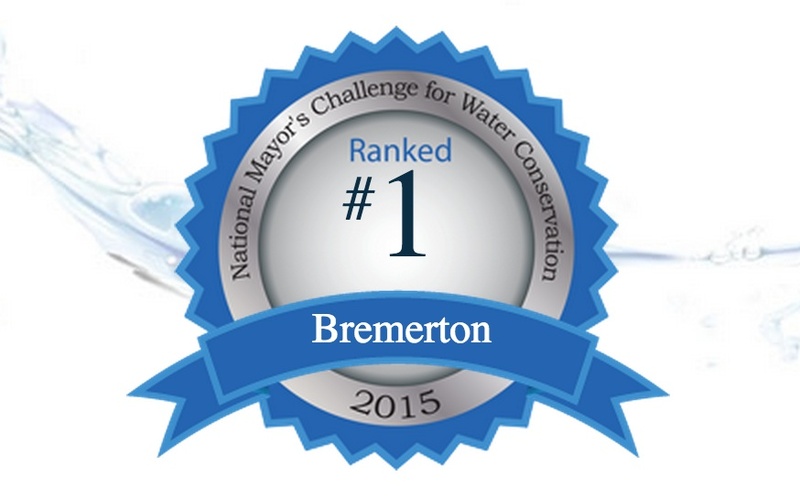 Going into the last week of the National Mayor’s Challenge, Bremerton is struggling to regain the top spot. Bremerton Mayor Patty Lent has been encouraging people to take the pledge, and reminder cards are out at many businesses. Several schools are getting involved, according to Kathleen Cahall, Bremerton’s water resources manager, and a lot of people took the pledge yesterday at the Earth Day booth at Norm Dicks Government Center. Bremerton has slipped from first place to third place in the National Mayor’s Challenge, while Olympia has climbed from ninth place to seventh place. Seven of the 10 cites in Bremerton’s category are from California, as Kathleen Cahall, Bremerton’s water resources manager, pointed out to me. It’s probably not a coincidence that California is going through the worst water crisis in the state’s history. 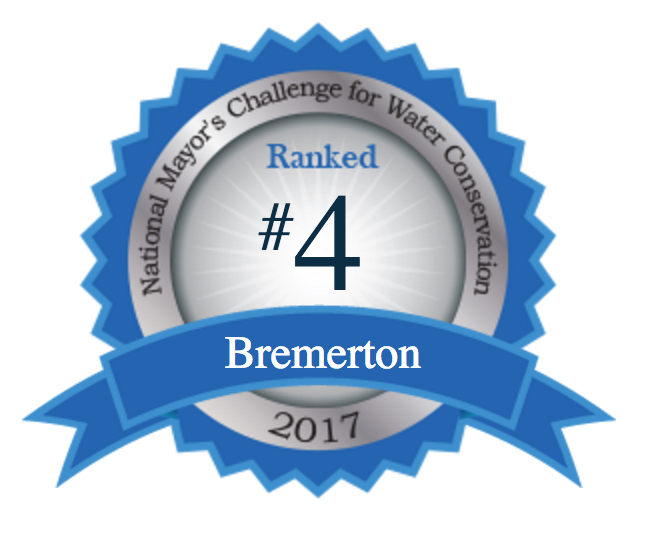 Once again, Bremerton is off to a great start in the National Mayor’s Challenge, a program sponsored by the Wyland Foundation to encourage people to conserve water and energy, reduce waste and do other conservation-minded things. Bremerton won the challenge the past two years among cities across the country with populations between 30,000 and 100,000, and Bremerton is already running in first place this year. Olympia also is doing well in ninth place so far. The challenge runs through April, and anyone can go to the National Mayor’s Challenge website, answer a list of conservation questions and boost the standings of any city you wish to support. Prizes are awarded to selected individuals from the winning cities, along with daily prizes for anyone who enters. Top prizes this year are a Toyota Prius and a $1,000 shopping spree, but there are many smaller prizes. Last year, more than 40 Bremerton residents won a prize. Besides Bremerton and Olympia, Seattle is the only city in Washington state to be in the top 10 for their size. Seattle is number 5 on the list of the largest cities (600,000 and over). In Kitsap County, the other cities are: Port Orchard, ranked 46; Poulsbo, 263; and Bainbridge Island, over 500. The video below shows support for the challenge from the administrator of the Environmental Protection Agency.